At ResusPlus Training our interactive and enjoyable Emergency First Aid for Schools course is aimed at helping schools develop their capabilities in saving childrens’ lives. 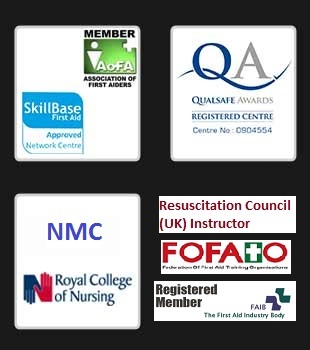 Many schools organise their emergency first aid training to fit within an inset day. We can organise for one of our experienced trainers to visit your School to carry out a 6 hours Emergency First Aid for Schools Course. This course can normally accommodate up to 12 candidates, however we understand that due to time constraints and the number of pupils some schools require larger groups to be trained, we can accommodate this. Successful candidates will receive a certificate of attendance that is valid for 3 years. During the course delegates will have the opportunity to practice CPR on child manikins and learn how to carry out appropriate First Aid for the most common injuries that may occur to children whilst at school. See Course Outline below for more detail. Use of first aid equipment, incident recording, hygiene and prevention of cross infection. Successful attendees will be issued with a manual and an Emergency First Aid for Schools certificate valid for 3 years.